CEN means Central European Norm. It was devised some time ago when the major padlock manufacturers got together to devise a testing standard. Until then it was confusing since there were plenty of standards for door locks and safes but non for padlocks. Some insurance companies tired to use these standards in relation to padlocks but it simply didn’t work. Still today you may get asked for a specification that simply can’t relate to a padlock and only to a safe or door lock. There are 6 levels within the grade ranging from general use to maximum security. 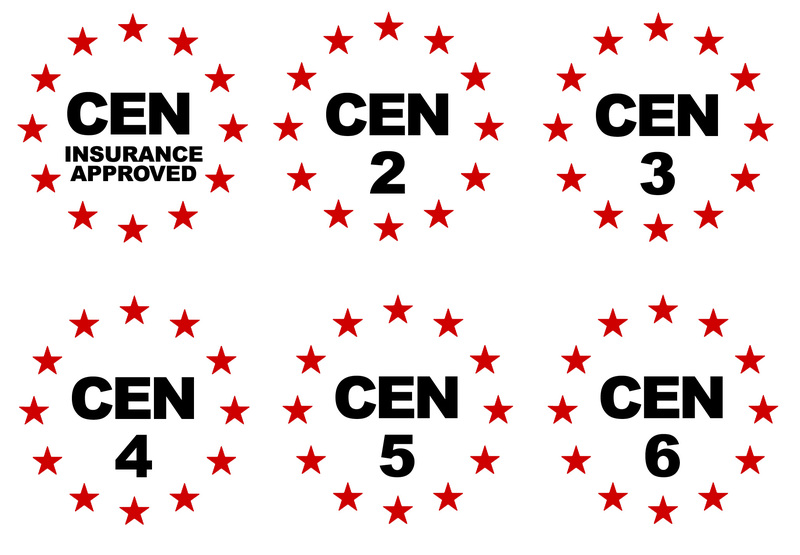 CEN Level 6 padlocks are rare and for more commercial and consumer purposes 5 is the highest. We tend to recommend anything between 3-5 for high security applications. The grading system is slightly flawed in that a lock only needs to fail one of the minimum criteria to a single category to be reduced to its lowest scoring grade. 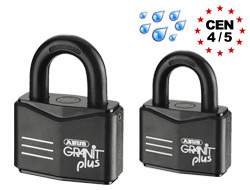 This means that some padlocks may perform like a CEN 6 padlock in all tests but fail at minus 40 degree centigrade. It would therefore be lowered accordingly. The other major issue is that there is no policing of the system. Many manufacturers do not test their locks independently and grade the lock themselves. The only manufacturer that we have found to test their products correctly according to the CEN standards are ABUS. 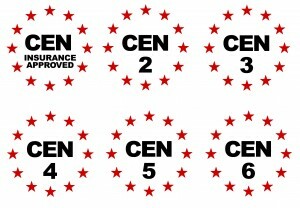 For all it’s problems the CEN system is a much better system than simply stating that your padlock must be of a closed shackle design which many insurance companies rely on. We stock many open-shackle padlocks that are two grades higher in the CEN system than some of our closed-shackle locks. If you are faced with this problem and that a closed-shackle padlock is simply not convenient, ask your insurance company for a relative CEN Grade. What is BS EN 12320? What is defined as a closed-shackle lock?